Planet Earth is the most spectacular look at our planet that has ever been broadcast. It has made millions of viewers aware of the breathtaking beauty and variety of life on our planet, and just as importantly how fragile that life can be. 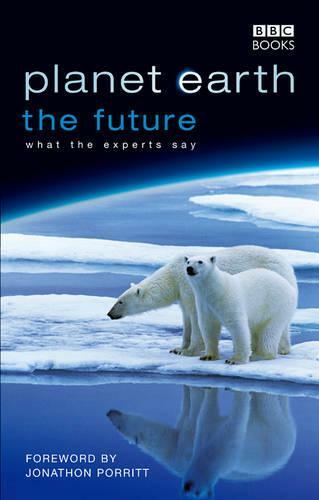 The premise of Planet Earth - The Future is to identify environmental and conservation issues that surround some of the sequences in Planet Earth, and put these issues to leading commentators, including NGO's, politicians and religious leaders James Leape (WWF International), Jeffrey McNeely (World Conservation Union), and the Archbishop of Canterbury to name but a few of the 35 contributors. We are living in destructive times, and our responsibility for the planet's stewardship is something none of us can afford to ignore. Comprised of transcripts from the series interviews, thoughtfully edited and abbreviated, this compelling and insightful book serves as a timely reminder of what needs to be done and what can be done to keep Planet Earth alive.